"Dan's background in finance and accounting at life sciences and chemical companies coupled with Big 4 accounting firm experience further enhances the depth of expertise that Pine Hill Group can offer to clients," said Edward Sweeney, Managing Director and Chief Operating Officer at Pine Hill Group. 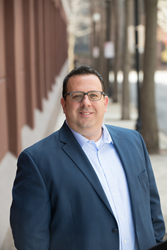 Pine Hill Group, a leading accounting, financial reporting and transaction advisory firm, announced today that Daniel Rudio has joined the firm to lead its Accounting Advisory practice as Managing Director. Leveraging his extensive finance and client service background, Dan will lead a growing team of experienced, operationally-focused professionals to help clients address the effects that business decisions have on their accounting and financial reporting functions, including all aspects of financial statement preparation, audit readiness, technical accounting implementation, US GAAP convergence, and risk advisory services. Dan brings to Pine Hill Group more than two decades of leadership experience in corporate finance, technical accounting, financial reporting, financial management, capital market transactions, due diligence and M&A support. Prior to joining Pine Hill Group, Dan served in a number of progressive leadership positions of increasing responsibility. Most recently, Dan was Senior Vice President, Controller and Chief Accounting Officer at Endo International, a $3 billion global life sciences company that develops and markets branded and generic pharmaceutical products. At Endo, Dan oversaw all aspects of the company’s accounting function during a time of significant organizational change and rapid growth. Over a 12-year span, Dan was instrumental in driving the company’s strategy by leading the accounting and reporting activities associated with over $20 billion in company acquisitions, and several multi-billion capital market transactions, including a $3 billion transformational acquisition resulting in Endo’s re-domiciling to Ireland. Dan also held leadership roles with Rohm and Haas Company, a former Fortune 300 manufacturing company, including Financial Leader for the Americas and Technical Accounting Manager. He began his career at Ernst & Young, where he was an Assurance Manager focused on clients in the pharmaceutical, real estate and retail industries. In addition to being licensed as a Certified Public Accountant (CPA), Dan is a member of the American Institute of Certified Public Accountants (AICPA) and the Pennsylvania Institute of Certified Public Accountants (PICPA). He received dual Bachelor of Science degrees in Accounting and Finance from Rutgers University. Founded in 2007, Pine Hill Group is an accounting consultancy and transaction advisory firm collaborating closely with clients to achieve their most critical and complex business objectives. From offices in Philadelphia, New York City and Princeton, Pine Hill Group provides public, private and private equity clients with integrated capital markets, technical accounting, and financial reporting advice during every stage of the business lifecycle. Comprised of multidisciplinary professionals with a distinctive combination of corporate and Big 4 firm experience, Pine Hill Group delivers the highest levels of expertise across a comprehensive suite of accounting and advisory services. For more information, contact Pine Hill Group at 215-558-2860 or visit http://www.ThePineHillGroup.com.